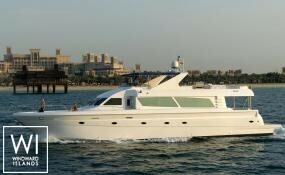 Yacht charter in Dubai is common for those who wish to experience the panoramic view of Dubai's beautiful city skyline. Sail into port and Dubai's grand vision is immediately apparent as a gleaming set of designer towers, including the world's tallest, and a string of offshore man-made islands, the Palms and the World, come into view. At the heart of Dubai is the Creek, which for over 200 years has been at the very center of all that makes Dubai the capital of the Middle East.